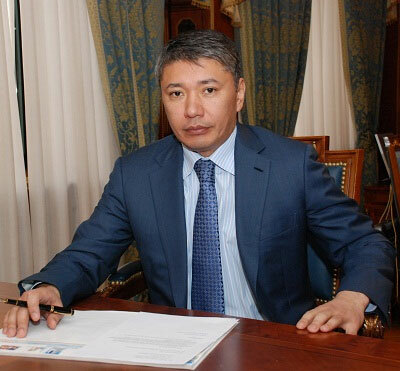 The development of tourism industry in our Republic is defined by the Head of our State Nursultan Nazarbayev as an important priority of the Strategy of Kazakhstan entering the number of 50 the most competitive countries in the World. As it is known, the choice of tourists is being provoked by the natural landscapes, geographical peculiarities, cultural heritage, developed infrastructure and safety. In this regard Kazakhstan has all possibilities to reach an important position among the countries with auspicious tourist image. Our country is situated in the very heart of Eurasia, in the crossroad between the largest countries of Asia and Europe. This advantageous geographical location favorably influences international tourist connections development. 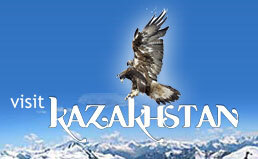 Tourist potential of Kazakhstan is rich and diverse. It has unique destinations and possibilities for development of almost all types of tourism, from the cognitive – connected with cultural-historical objects visiting, ecological, including the observance for the rare sorts of flora and fauna to advantageous and other active types of tourism. Today there are many unique natural reserves and national parks, more than 100 medical resorts, and also more than nine thousand archaeological and historical monuments. The northern branch of Great Silk Road passes the territory of the country. This part of the road is the unique complex of historical, archeological and architectural memorials, including the experience of cities planning and construction. Such cities as Otrar, Sauran, and Turkestan were not only trade centers, but also scientific and cultural centers. Besides, we have objects of mountaineering tourism. The mountaineering resort Shymbulak, the skating rink Medeo and Shuchinsk-Borovskoy resort base – our «Kazakhstany Switzerland» - those are very popular among tourists. I believe that the users of this web-site will save time in finding information about national tourist product, tourist organizations and partners as well as organizing your vacationing. I hope that this web-site will give more detailed information about tourist potential of Kazakhstan and will be reliable assistant to readers. I invite the visitors of our web-site to visit Kazakhstan in order to see personally all the abovementioned amenities and experience Kazakh hospitality.